If you’re reading this blog, chances are you’re already an eyewear lover and you’ve got a slew of sunnies in your sun-sational wardrobe. But, the question is, do your children? As adults we’re often so concerned with slathering sunscreen on the kids that we overlook the need for them to wear sunglasses. Studies show that children receive three times more annual sun exposure than adults and their precious peepers are especially susceptible to UV-related harm. 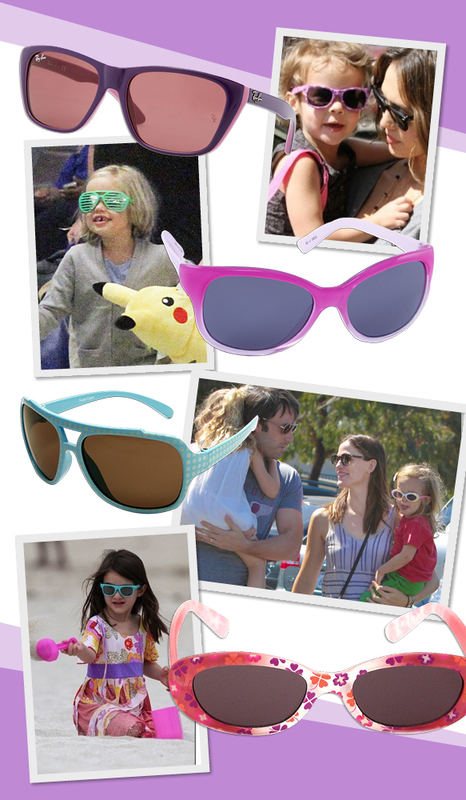 Take some cues from everyone’s favorite celebuspawns and make your kids get shady. For boys, it’s all about sporty looks. 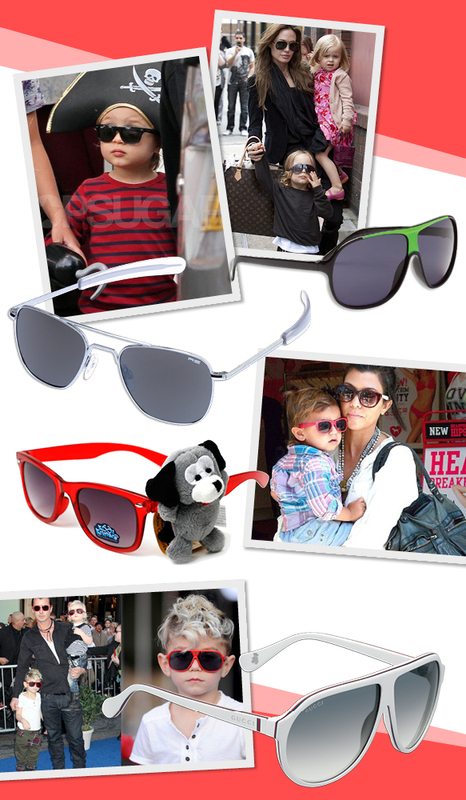 Shields, aviators and wayfarers donned by stylish youngsters who obviously get their fashion sense from their fabulous parents like Angelina Jolie, Kourtney Kardashian, Gwen Stefani and Gavin Rossdale. Bright colors help keep the look young and fun while metals and blacks add an edgier appeal. Hollywood’s next generation of fashionistas which include the likes of Shiloh Jolie-Pitt, Suri Cruise, Honor Warren and Seraphina Affleck, have learned at an early age that the key to looking good is a stellar pair of sunglasses. Little princesses will love bright colors, girly shapes and fun patterns. With playful options like these, your kids will be the ones reminding you to bring their shades!